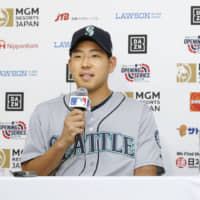 When Yusei Kikuchi makes his first start as a major league player at Tokyo Dome on Thursday, he won’t be too far away from Seibu Dome, where he stood on the mound for the first time as a professional in June of 2011. “In terms of looking forward to it (his MLB debut), I also looked forward to that game, so it’s not different than when I made my debut in Japan,” Kikuchi said Wednesday on the eve of his MLB debut at the Big Egg. Kikuchi has had anything but a normal offseason. After the Seibu Lions were eliminated from the Pacific League Climax Series in October, the 27-year-old focused his attention on a move to the majors. The Lions put him in the posting system in December, and by the end of the month reports surfaced that he’d reached an agreement with the Mariners. From there, Kikuchi spent time adjusting to the MLB ball — which is slightly bigger and more tacky than the NPB ball — and then to a big league spring training in Arizona. “I love everything I’ve seen so far,” said Seattle’s Opening Day starter Marco Gonzales, a fellow lefty. “He’s a great teammate, he loves to learn and grow, he’s never settled. He wants to compete and win. So gimme that guy all day long. The Mariners have high hopes for Kikuchi. That includes his most famous teammate, Ichiro Suzuki. 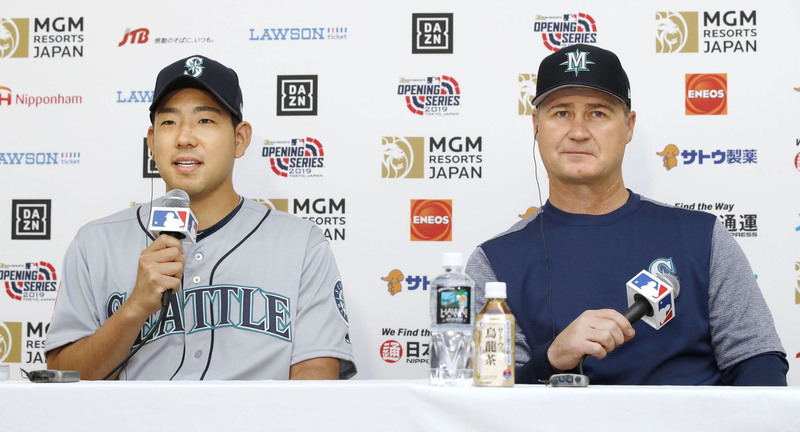 “As you can say about any player, first of all, you need to really put up results for three seasons, then you can become an ace,” Ichiro said during a news conference on Saturday, the day after the team’s arrival in Japan. Kikuchi has made three starts this spring and has allowed six runs — four earned — in nine innings. He won’t have an easy assignment in his first outing of the regular season. The Oakland Athletics have a lineup that features 2018’s MLB home run leader Khris Davis, who homered against the Hokkaido Nippon Ham Fighters in an exhibition on Monday, and Matt Chapman, who has been on fire in Japan. Kikuchi was 73-46 in his eight seasons in NPB, winning the PL ERA title in 2017. He ended his career in Japan with a 2.77 ERA in 1,010⅔ innings. Kikuchi had a strong career in NPB, but didn’t actually fare too well in that first start with Seibu, allowing four runs in 2⅓ innings against the Hanshin Tigers. He outdueled Yomiuri Giants ace Tomoyuki Sugano, perhaps the best pitcher not in the majors, in his last game at Tokyo Dome and hopes to have a similar performance Thursday in front of a crowd that will consist mostly of Japanese fans cheering him on.